Sorry, Wotofo Lush Plus RDA has been discontinued. The Wotofo Lush Plus RDA is the latest split post build RDA with a bottom airflow for maximum vapor and flavor production. 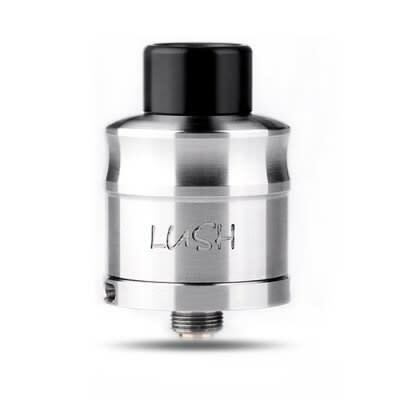 The RDA itself has a 24mm base to sit comfortably on larger mods.The Wotofo Lush Plus also has a large liquid capacity. Additionally, the top cap is indented providing both a grip for removal as well as a throttle or choke to help boost the flavor production. The Wotofo Lush Plus is a great RDA for beginners as well as those looking to upgrade their current RDA.